With naval architecture by Philippe Briand, and interior styling from Andrew Winch, this was always going to be a thoroughly superior yacht. Somewhere along the yardstick, a family cruiser grows up to become a luxury yacht. In the case of the famous French boat builder, Jeanneau, this happens at 51ft. The outstanding new Jeanneau 51, premiÃ¨red in the Asia Pacific region at the Sydney International Boat Show, is an exceptionally intelligent piece of design. Through clever thinking, it succeeds in combining practicality with elegance, and realistic affordability with classic Jeanneau style. 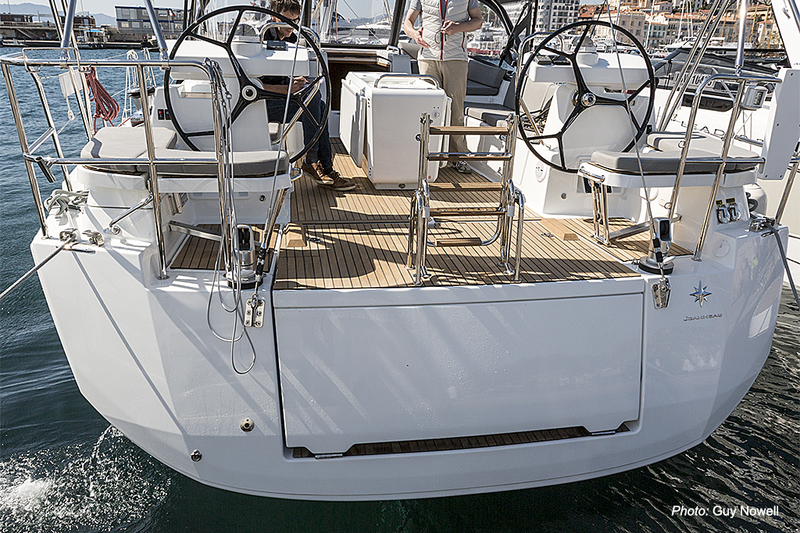 The deck layout of the Jeanneau 51 is thoughtfully designed for short-handed cruising. Briand has taken a few leaves from the books of the French solo sailors, and dropped them onto a boat that will very easily be handled by one couple. Different sail plans offer in-mast furling, a 110% genoa, a self-tacking jib or a Code 0 option; all lines lead aft under cover, and can be controlled from the helm. The â€˜armchairâ€™ cockpit seating either side of the companionway and under the weather hood (when rigged) is an inspiration, and certainly another take-out from the short-handed sailing manual. 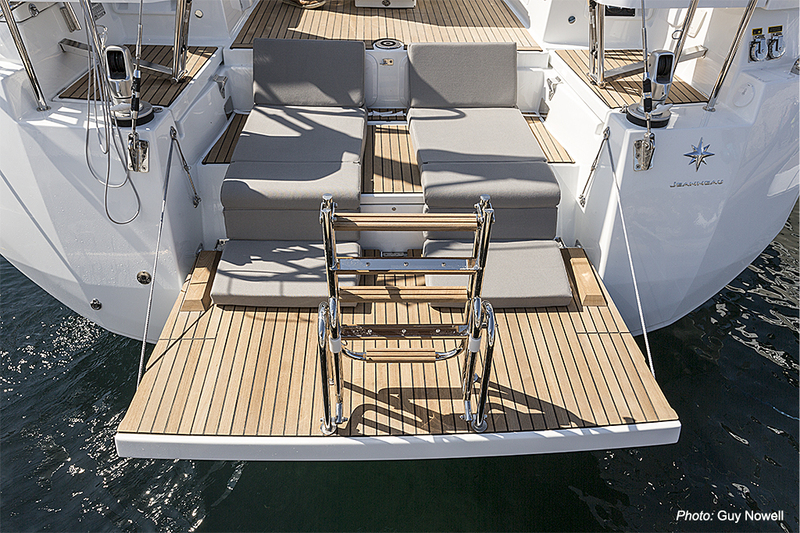 Most of all, Jeanneau have totally reinvented the stern of a sailing yacht to make it a deck area that turns into a pair of sunbeds, and then morphs into a swim platform and boarding area. Itâ€™s a geometrical conjuring trick that is entirely original, hugely practical, and destined to be a very popular design feature of Jeanneau yachts. And donâ€™t forget the retractable davits â€“ thatâ€™s clever design, too. With a breezy 15kts ahead of the beam, the Jeanneau 51 with a 110% genoa and full main stands up to her canvas well, comfortably punching through a light chop without any slamming. A self-tacking jib would be easier to manage for a single-hander, but the big genoa gave the boat a properly powerful â€˜51ftâ€™ feeling.Â Below decks, Andrew Winch has excelled himself with a hugely spacious layout and â€“ thanks to ports in both the coach roof and the hull â€“ more interior light than you have ever seen before on a 51â€™ yacht. The cabin layout is flexible, involving either two or three doubles, and an optional captainâ€™s cabin or a storage space. 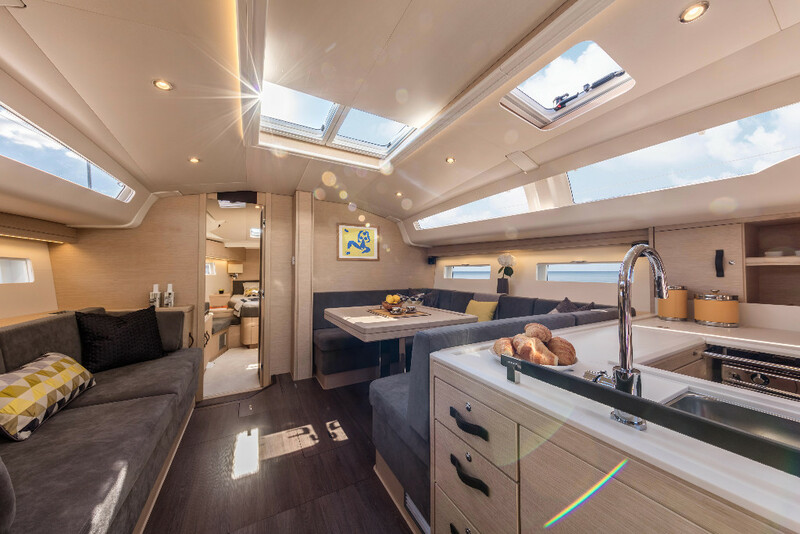 A day head can be configured as a utility room, and in all cases the aft cabins (underneath that smartly-designed stern deck area) have sit-up-in-bed headroom. Add in a forward-facing nav station that engages with the social areas, and a galley equipped to turn out gourmet meals (not forgetting the under floor wine safe), and you have a properly thought-out cruising platform that will take you most anywhere: the â€˜stoppingâ€™ is going to be as much fun as the sailing. The all-new Jeanneau 51 is destined to make a significant mark on her cruising class. Jeanneau is a French boatyard in Les Herbiers, in the VendÃ©e dÃ©partement, which has produced yachts since 1957. It has been part of the BÃ©nÃ©teau group since 1995. With thousands of possible combinations, the deck plans and sumptuous interiors of Jeanneau Yachts insure an exceptional lifestyle quality and level of comfort onboard. 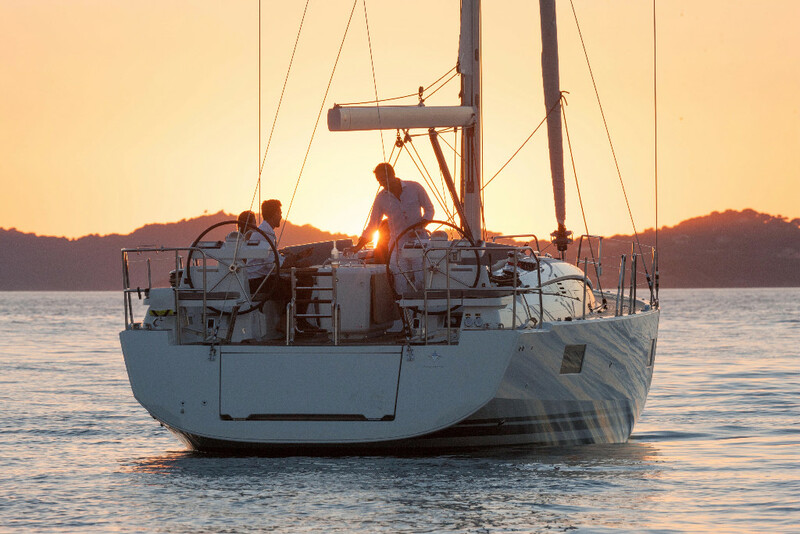 Each dream is different, and Jeanneau can help to realize yours.